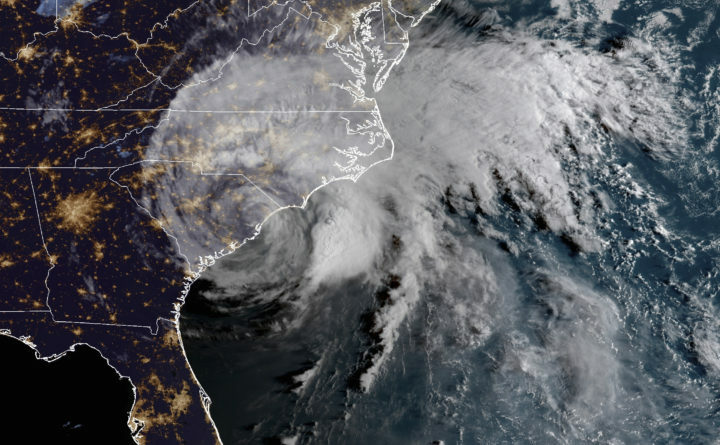 This satellite image provided by NOAA shows Hurricane Florence on the eastern coast of the United States early Saturday, Sept. 15, 2018. In the Carolinas, natural and temporary climate factors added to the “march upwards” from global warming. Because of that, the seas have risen nearly 5 inches in five years, said Andrea Dutton of the University of Florida.